Currently He is seen playing the male lead Rockstar Abhishek in Zee TV's Trp topper show Kumkum Bhagya opposite Sriti Jha ..He has bagged multiple Best Actor Awards for this character. 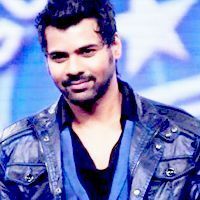 Check out the most updated and latest information about Shabbir Ahluwalia's on the Internet.We have 167 videos of Shabbir Ahluwalia including interviews, events, or public appearances.Shabbir Ahluwalia has over 492 Fans registered on India-Forums.com. We have 473 Television News articles related to Shabbir Ahluwalia.Do share your criticism, comments and feedback for the Actor on Shabbir Ahluwalia's comments page. We have over 13 Photos of Shabbir Ahluwalia to view and download including Shabbir Ahluwalia's Wallpapers. I absolutely love you and the way you portray Abhi is to die for!!! I don't understand how you're not ranked in the top 10. Congrats for all the awards won in ZRA 2018.. truly deserving.. When will you grow up in KKB.Always playful,but playing with the lives of two women. Last one week you were freaking amazing Shabir Ahluwalia .Starting from the same point when you lost memory, the pain, fear every minute detail was shown so well. Shabbir Ahluwalia- you're acting is awesome! The slight changes in mannerisms from the ML Abhi and rockstar Abhi just proves your elegance and fine grip of your acting! Keep it up- KKB and the viewers are so blessed to have you as Abhi!